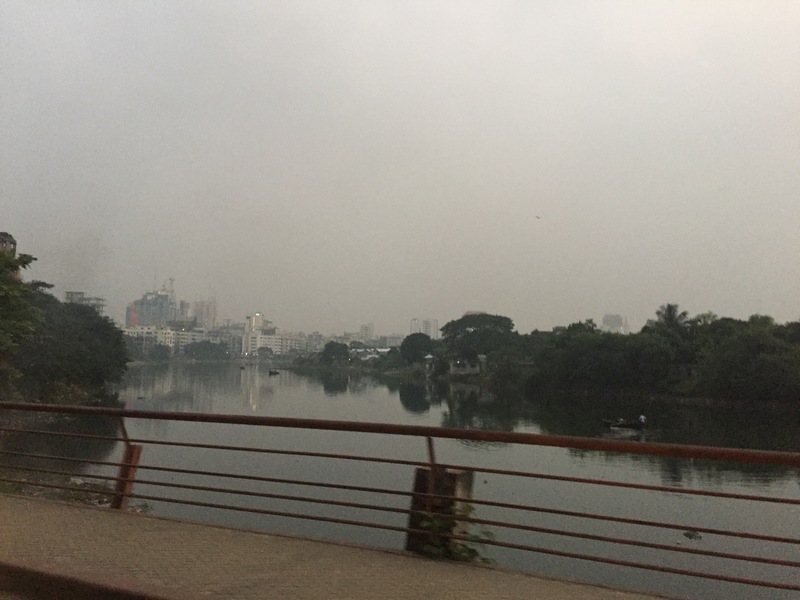 After a short and easy night flight I arrived once again in Dhaka, Bangladesh. The last time I was here was in August, and aside from eating and reading by the pool, I didn’t do a whole lot! This time I wanted to at least get out of the hotel grounds, so myself and a few of the other crew arranged to meet in the afternoon. Our flight arrives early morning and the hotel keeps the breakfast buffet open for us so we can go and have free breakfast before checking in. Who can say no to free breakfast?! After a few hours sleep I was ready to do a bit of exploring. Our first stop was a restaurant which our purser (who is from Dhaka) had recommended, not too far from the hotel. The minute we stepped out we were surrounded by people asking us for money and food, which made me feel slightly uncomfortable! 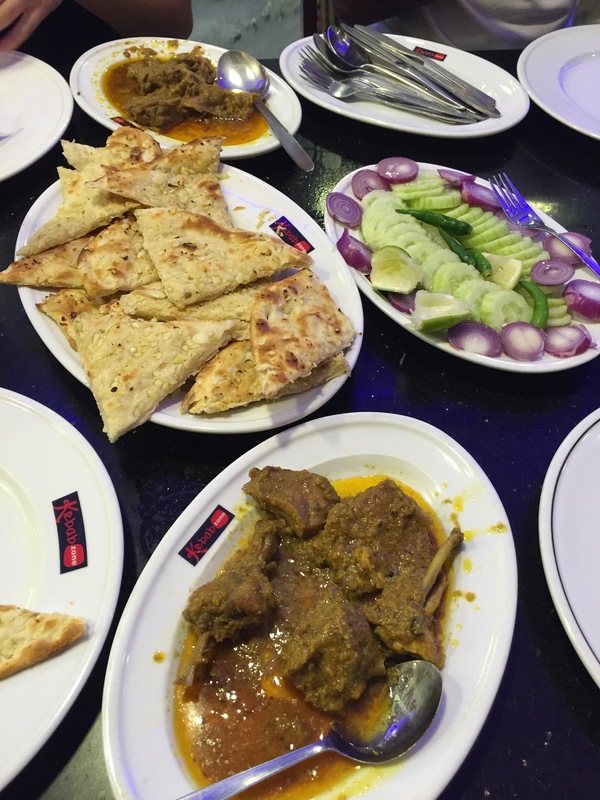 We all ordered some butter chicken and garlic naan, which was delicious but very spicy! 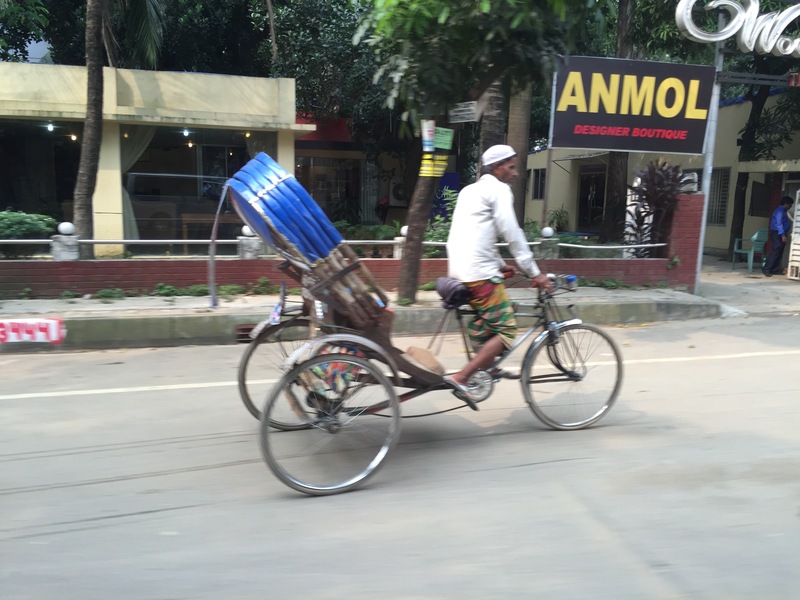 We’s asked the concierge which area would be good to see, and he recommend taking a rickshaw down to Banani 11 Road. On the map it looked like it was miles away but it actually was only a short ride across the river! 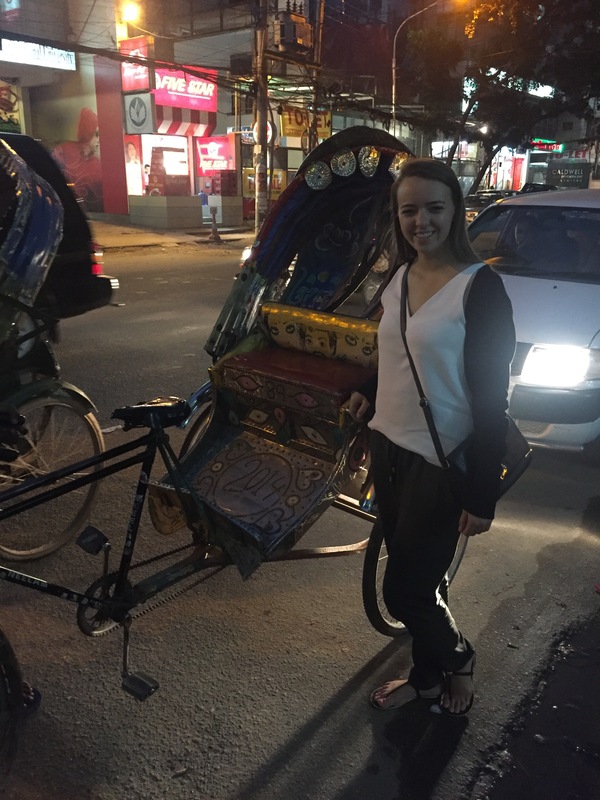 All of the rickshaws are so colourful and brightly painted, and I guess the “drivers” must have very strong legs from all of that cycling! We got out at the end of the road and strolled along checking out the shops and cafes. Every minute children would come running up to us asking for food or 10 Taka (the equivalent of 10 Euro cents!) saying how hungry they were. I just wonder where their parents are and if they stay out on the streets all day, barefoot and begging? We stopped for a little coffee before heading back in another rickshaw. 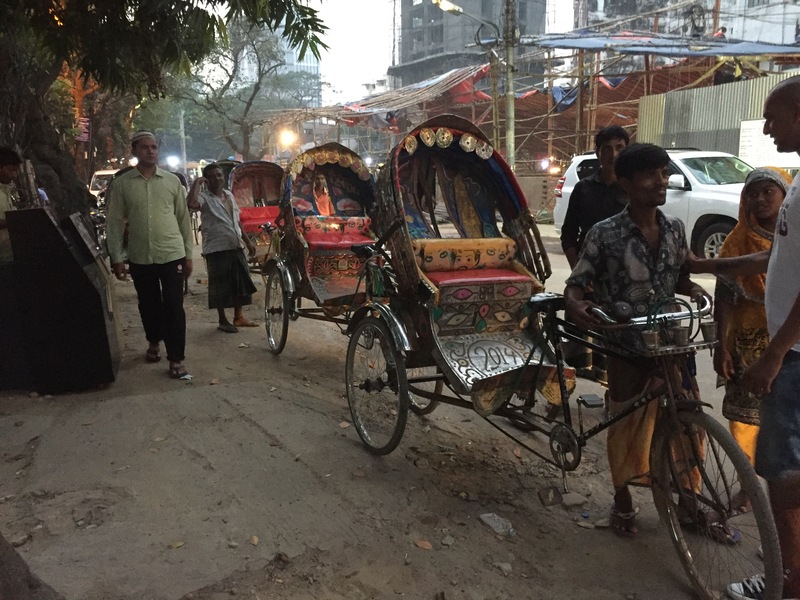 It was getting dark so we didn’t feel too comfortable staying out even though we did have a guy with us, 3 girls attract a fair bit of attention in Dhaka! 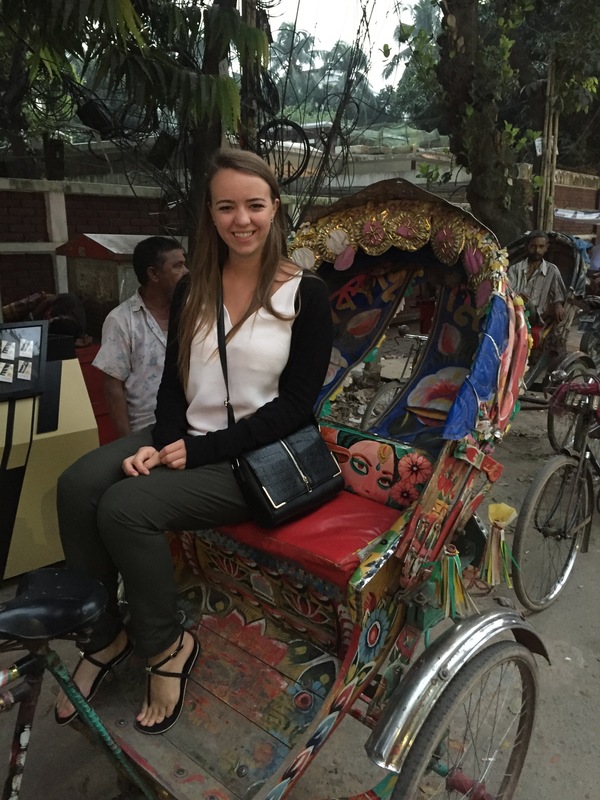 I’m not sure if women don’t tend to come out so much but we barely saw any women on the streets, only a few riding in the rickshaws. Back at the hotel and still so full from eating all of the garlic naan, I headed up to my room for some rest and relaxation. It was definitely interesting seeing a small part of the city, however I have to admit I’m not sure if I’ll come out again! 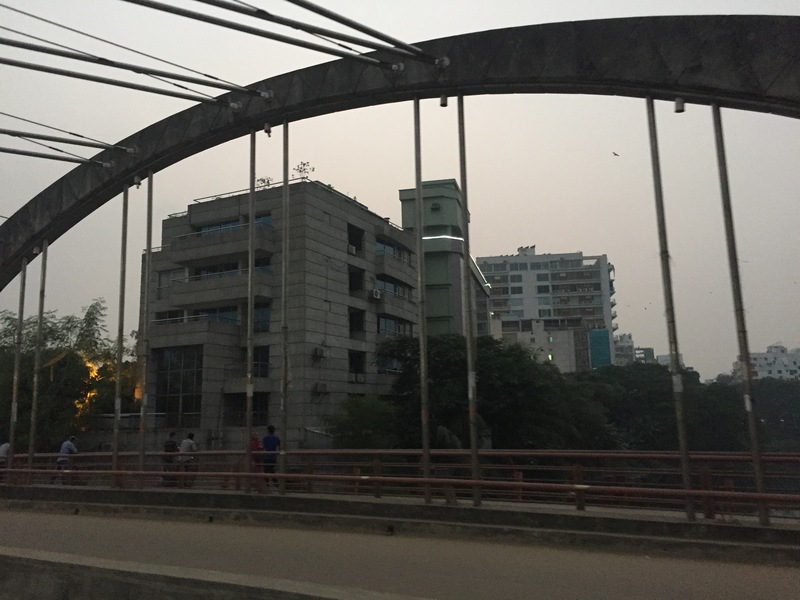 Dhaka is a crowded city. If you plan to visit Bangladesh again then try visit the hilly and river area because hills and rivers are portrait of Bangladesh. Thanks for the tip, if I get another layover I’ll try and get out of the city and explore some more! Just wondering if the shower attendants on the A380 are flight attendants and how you become a shower attendant? Wow, this has to be one of your most depressive layovers, especially with the kids begging all over. So sad what people from all over the world go through just to survive. This post truly is eye opening, anyhow can’t wait to read your next adventure.